How To Buy The Best Record Player Or Turntable - Which? Whether you're a seasoned vinyl veteran with a priceless collection or a complete newcomer taking your first steps, we'll cut the jargon and tell you what kind of record player or turntable you need. You might be looking to make digital copies of your treasured records, searching for the best sound quality or buying a gift for a loved one. Whatever you're looking for, watching the video above should demystify some of the common questions about record players. You can also use our chooser tool below to help you decide which is the best type of model for you. 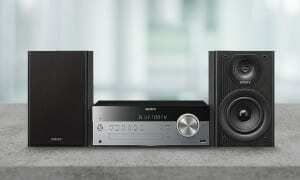 If you already know what you want and how much you want to spend, go straight to our Best Buy record players. How much should you spend on a new record player? Although record players can cost a substantial amount of money, we’ve found Best Buy ones that will give you top sound quality and are easy to use for less than £150. 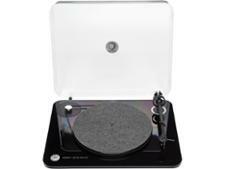 And there are plenty of excellent record players ranging from £150-£300 if you’ve got a budget that’s a little bigger. 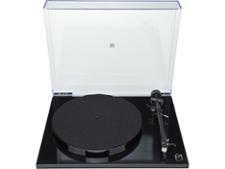 We've also reviewed more premium turntables in the £300-£650 price range. These could be worth a look if you're after one with high build quality made from more premium materials that potentially could last for years. Should you buy a top-of-the-range record player? Top-of-the-range record players can cost thousands of pounds, so it’s really important to do your research first if you’re looking for something with premium sound and a price to match. Turntable manufacturers such as ProJect, Rega, Technics and Thorens all sell models that are £1,000+, so if you’re considering one of these, make sure you know exactly what you want to get out of them. There is no doubt that with the higher price comes superior styling and sound quality, but if you’re a beginner in the world of record players it may be wiser to buy a cheaper model first. 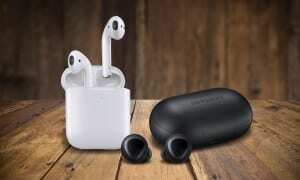 Best Buy models start from around £120 and sound excellent. Also remember that to get the benefit of an expensive turntable you'll need a top hi-fi system or set of speakers to match, potentially adding significantly to your costs. What's the difference between a record player and a turntable? Technically speaking, a record player is a standalone device that not only spins your vinyl but also includes a built-in amplifier and speaker(s) so you can hear the music without plugging the player into a hi-fi system. Some are even portable, giving you the option to power them from batteries. A turntable, on the other hand, relies on a separate amp and speakers to make a sound. In practice, you'll see the terms used interchangeably on retailer websites, so it's important to know what you're looking for. It's also worth knowing that most record players can be plugged into a separate amplifier hi-fi system, too. Record players and turntables can cost thousands of pounds, but for those of us who aren’t aspiring DJs or keen audiophiles, there are models out there for as little as £40. 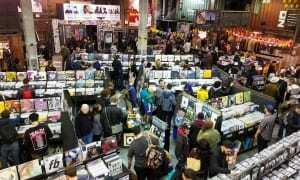 So whether you simply want to play your old records again or need to transfer them onto your computer, make sure you buy the right record player for you, otherwise you might be left feeling underwhelmed by the results. What else do you need to buy with your record player or turntable? a preamp (if it is not built in to your turntable). Most of the best turntables you can buy do not come with speakers, so you will need to buy separate speakers to connect to your turntable to hear the sound. The majority of turntables do not have wireless functionality (Bluetooth or wi-fi), so you will need to buy speakers that have wired connections (RCA 'phono' outputs for a pair of stereo speakers, or aux-in). The classic approach is to connect up your record player using a pair of traditional hi-fi speakers such as Mission LX2 or Q Acoustics 3020 speakers; good speakers cost £100-£400 or more for a pair. These speakers are typically only available at specialist hi-fi shops. 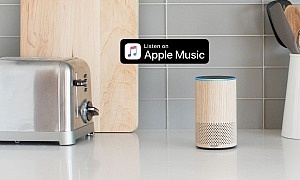 A modern alternative is to connect your record player to Bluetooth or wireless speakers. Many of these speakers will have an aux-in socket you can use to connect them to your record player, although you may require an adaptor. An additional complication is that many traditional-style turntables do not have a preamp built in. A preamp amplifies the small sound signal from a turntable to a level that can drive your speakers (via an amplifier). Be careful to check whether the turntable you're looking to buy has a preamp built in. If it does not, you will also need to purchase a separate preamp, with good models costing anything from £50 to several hundred pounds, such as the ProJect Phono Box MM, Cambridge Audio CP2 or Arcam rPhono. For beginners, we would recommend buying a record player with an internal preamp and amplifier built in to simplify your setup, which means you only need to buy a record player and some separate speakers, rather than buying a turntable that can require a separate preamp and amplifier. How do you set up your record player or turntable? How complex your record player or turntable is to set up will depend on what type you buy. The best record players and turntables will come with an instruction manual that guides you clearly through how to set it up. The general principles are outlines below. These require you to simply plug a traditional pair of stereo speakers into your record player (usually via a cable with red and white RCA 'phono' sockets), or to connect to a wireless speaker; many Bluetooth and wireless speakers have an aux-in socket that you can use to connect them to your record player. You'll need to buy an inexpensive RCA to 3.5mm cable to do this. Alternatively, some record players have Bluetooth built in, which can allow you to connect to your Bluetooth speaker wirelessly. After you've connected your record player to your speakers, you just then need to connect these to the mains. These are the most complicated to set up. If you have a traditional hi-fi system at home, you should be able to very easily and simply connect the turntable into your existing setup (via a cable with red and white RCA 'phono' sockets). If you do not have a hi-fi system, you'll need to connect your turntable to a separate preamp and amplifier before you can connect it to your speakers. The preamp and amplifier increases the amplitude of the signals from your turntable so your turntable can drive your speakers. You can then connect the amplifier to a traditional pair of stereo speakers (also usually via RCA cables), or plug in a wireless speaker – the same way as explained above for record players with a preamp and amplifier built in. These simply require you to plug them into the mains and you're away. However, their sound quality is generally no match for turntables with separate speakers. What should you look for in a record player? This fully automates the moving of the tonearm (the moveable part of the record player that houses the needle and follows the grooves on the record), which makes playing your records easy. This will also reduce the chances of you damaging your records or needle by lowering it too quickly. Other record players are semi-automatic, where you'll need to move the tonearm yourself but the platter spinner is automated when you pick up the tonearm, and some are fully manual, where you do everything yourself. A belt-drive turntable uses an elastic belt to connect the motor to the platter where the record sits. Some turntables are direct-drive, where the platter is spun directly by gears from the motor, but these are only really used by DJs who want their records to start spinning immediately. Some record players include built-in speakers, which means you don’t need to buy additional speakers or plug in existing speakers you own. Sound quality on built-in speakers will be inferior to playing records through hi-fi speakers, so they're more a handy extra than a brilliant feature. Some record players and turntables can play the rarer 78rpm speed records in addition to the usual 33rpm and 45rpm speed records. These 78rpm speed records were generally only used before the 1950s, so you're unlikely to need a record player or turntable that can play these - check if you have a very old collection. Should you buy a USB record player? 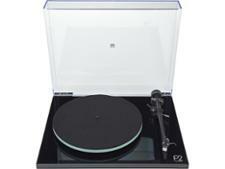 Recently there has been a demand for record players that will digitise your records, too. Recording your vinyl digitally means you'll be able to listen back to your collection on a computer or other digital music player. USB record players plug into your computer via a USB cable. Most come with software that will convert your records into other music formats, such as Audacity. Most typically, conversion software will allow you to split up tracks into separate audio files, search for album titles or artists online and name the applicable files. Some software will also help you clean up clicks/scratches in the recording and get rid of background noise. USB record players are ideal if you want to transfer your record collection to other music forms but you'll have to be careful to ensure you get a good-quality recording. You can easily transfer your whole record collection to other digital music formats. Widely available and becoming a more common feature on record players. Cheaper than other types of record player. This type of player tends to be cheaper so the quality of features, such as the cartridge, can be lacking. The tonearm and stylus are of reduced quality too. The worst-offending models may even cause the records you play to wear out quicker. Should you buy a second-hand record player? Condition Your vinyl records are fragile and easily damaged. Therefore always look at the condition of the turntable, especially where your record will be in physical contact with it. Features To reduce the chances of damaging your record, the turntable base, platter and tonearm should be in good working order. Make sure the base is level, the platter moves freely and evenly and the tonearm moves across the record without friction. Stylus and cartridge These are essential parts of the record player that will actually touch your record. Always ask about the amount of use they’ve had but, for peace of mind, it may be better to purchase these items new. Type Make sure the record player you’re purchasing can play all records in your collection. One that plays 78rpm is no use if it doesn’t also play 33s and 45s. Should you buy a portable record player? If you like the idea of being able to listen to your records in different places around the house, you may be attracted to the idea of a portable record player. Some of the most popular brands, such as Crosley and GPO, make turntables that fold up into carry cases and even include built-in speakers. These vinyl players often feature retro styling, reminiscent of the classic Dansette record players of the 1960s. Unfortunately, though, they tend not to sound as good as they look. You want a turntable to be as solid and sturdy as possible to minimise unwanted vibrations from outside. The cheap portable players from brands such as Crosley are built to be lightweight and, as such, they’re often a bit flimsy. They won’t recreate the delicate vibrations of the vinyl as faithfully as one of our Best Buy models, so if it’s sound quality you’re after you’ll want to steer clear of portable players.